The CIOMS Working Group III envisioned that all manufacturers of pharmaceutical products will harmonize their practices regarding Company Core Safety Information (CCSI) that their internal, central Company Core Data Sheets for a marketed drug must contain. 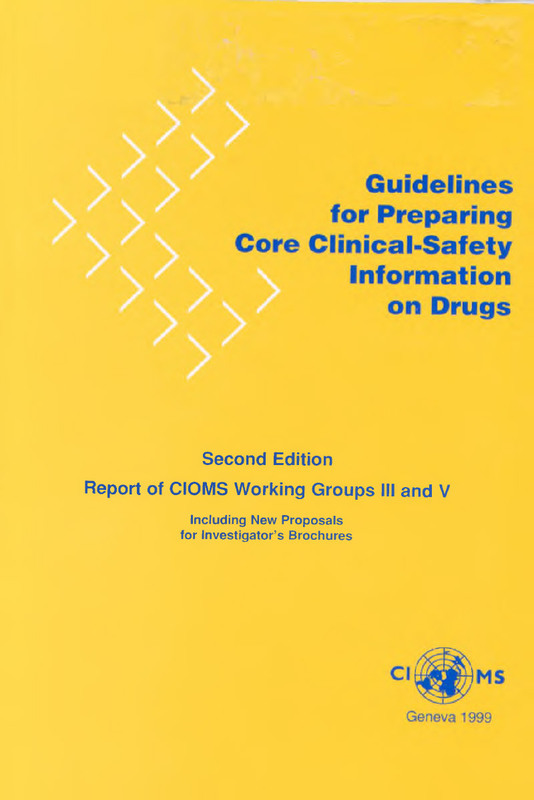 As introduced by CIOMS Working Group II on periodic safety update reporting, CCSI consists of the minimum essential information that a manufacturer requires to be listed in all countries where the drug is marketed; it excludes extraneous or inadequately substantiated information. 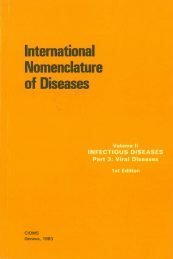 It is believed that the principles and guidelines proposed by Working Group III for the inclusion of CCSI in Core datasheets and its modification will lead to application of consistent decision-rules on its content, to the use in common of standard terms and definitions, a standard format for the placing of information in different sections of data sheets, and to adherence to valid criteria for timely and accurate revision. 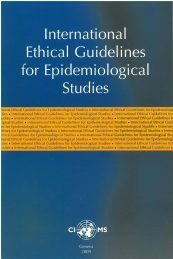 It is now also proposed that the same basic philosophy and practices be applied to the safety information provided to clinical investigators during a development program. 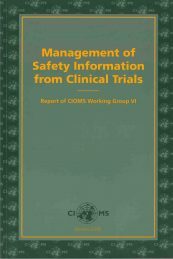 Toward that goal, CIOMS Working Group V in this update of the initial report, has introduced the concept of Development Core Safety Information (DCSl) as a discrete, focussed section of Investigator’s Brochures, which would have the same format as, and would evolve into, the CCSI at initial marketing of the product. 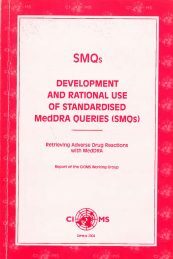 The absence of internationally agreed standards for the format and content of information on pharmaceutical products for investigators, prescribers and other healthcare professionals is giving rise to discrepancies and inconsistencies from country to country and manufacturer to manufacturer. Therefore, the Working Groups also envision that national regulatory authorities will harmonize their basic requirements for safety information about medical products to be contained in data sheets and Investigator’s Brochures, while it acknowledges the possible need for cultural differences reflected in different forms of medical and legal practice.